Alright, today I'm back as promised to finish the diet "critique" we left off with yesterday. To recap, my buddy and controversial nutrition “Nerd” Nick Pineault sent me this controversial diet critique of one of his clients on the Paleo diet. We already covered her breakfast, morning snack, and lunch...and why they all contained flaws...and today we're going to continue by analyzing the rest of the menu: Nick’s dinner and evening snack choices. Dinner: Forget everything you heard about how red meat is fattening. Grass-fed beef contains 2 to 4 times more omega-3, many times more vitamins and minerals than the cheap supermarket kind, and is packed with the natural fat burner CLA. The problem is: some grass-fed beef are “grain finished”, which means they are fattened with grains in the last month before being slaughtered. This process may help the beef farmer make extra money – but it actually changes the fat in your grass-fed beef from omega-3s to inflammatory omega-6s and removes the CLA. Way to pay the premium price for something that doesn’t contain what it’s supposed to! To make sure you buy the right fat burning beef, look for “pasture-raised beef” or “grass-fed AND finished beef”. Evening Snack: There’s no such thing as fat burning sugar, but certain natural sugars like honey are less fattening than processed sugar. But watch out: a recent study by Food Safety News found out that 75% of the honey sold in the US may be fake and potentially contain the banned antibiotic chloramphenicol and dangerous heavy metals. Always make sure your honey is real by buying it locally, and always buy raw honey instead of the pasteurized kind that’s nothing more than pure sugar. As you can see from Nick’s analysis of Mark’s diet – chances that you’re consuming a lot of fattening foods without even being aware of it. Let me tell you, this is just the tip of the Iceberg. Nick showed me hundreds of other shady and scammy foods that end up in your fridge. 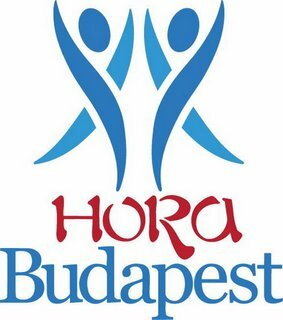 Írta: Hora Budapest Idő: 3/12/2015 11:43:00 de.